Crimp pins available under part number 161 2125. 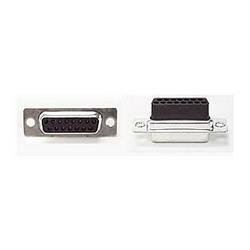 Build your own cables for game ports or other applications with these 15-pin D-sub parts. Technically called a DA15, these plugs are often called DB15. Requires female crimp pins, sold separately.